Rise of the Apes hits theaters this Friday, and 20th Century Fox has released a short look at the incredible visual effects work that went into bringing Caesar and his fellow primates to life. This being the first Apes film that uses no make-up or live apes, it makes sense they want to get the word out that the effects work is remarkable. And from the looks of things, it is. Advance word on the film is immensely positive, and I can’t wait to check the film out for myself. The Apes rise this Friday. Will The “Apes” Need A New Director? 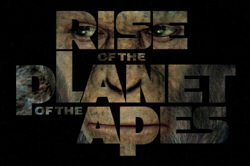 Comments for Go Behind the Scenes of “Rise of the Apes” are now closed.